A superb four season authentic Greek experience awaits visitors to picturesque Milopotamos Bay in scenic, historic Greece. Pilio Holiday Club becomes a brilliant choice for those who love comfortable amenities blended with attractive resort benefits. From skiing to swimming at the beach, visitors find it all in scenic Greece. 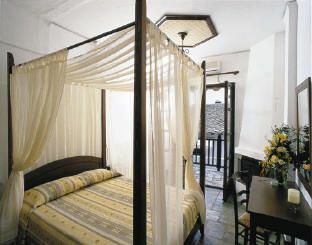 Luxuriate in the sizable suites of Pilio Holiday Club with comfortable air conditioning or heat provided. Relax by the fireplace. Watch cable/satellite television, and enjoy free Wi-Fi to keep connected with loved ones. Lounge on your patio overlooking pretty gardens, or relish the sea views. Enjoy meals at the resort's traditional restaurant, or grab a snack at the snack bar. At your resort, you'll enjoy the on-site swimming pool, a nearby nightclub and convenient ATM banking. You'll also find child care and a playground for keeping the little ones entertained and occupied. The beach is a short two miles away with activities like windsurfing, swimming and water skiing. Mt. Pilio, also known as Mt. 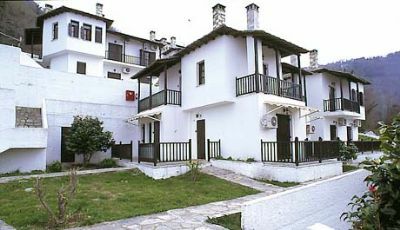 Pelion, is also close by and affords visitors opportunities to learn to ski at a ski school and to enjoy downhill skiing. These Greece timeshare resales lets everyone enjoy activities like horseback riding, hiking, skiing, water skiing, and swimming at gorgeous beaches. Those who like a more tranquil pace find that as well in the panoramic breathtaking scenery of Greece, featuring picturesque hillsides, landscapes and quaint villages. The landscape is a photographer's dream. Any time of year is perfect for a tranquil escape featuring just the right amount of excitement. A rental car is recommended for the maximum enjoyment of all that this stunning part of Greece has to offer. Buying one of these Greece timeshare resales will quickly turn out to be a favorite decision for your future holidays. Everyone in the family will love activities together like hiking, mountaineering and swimming at picturesque beaches. Fond family memories are waiting to be made. The best memories begin at Pilio Holiday Club, where everyone can totally relax and enjoy themselves. Contact Pilio Holiday Club Specialist Today!